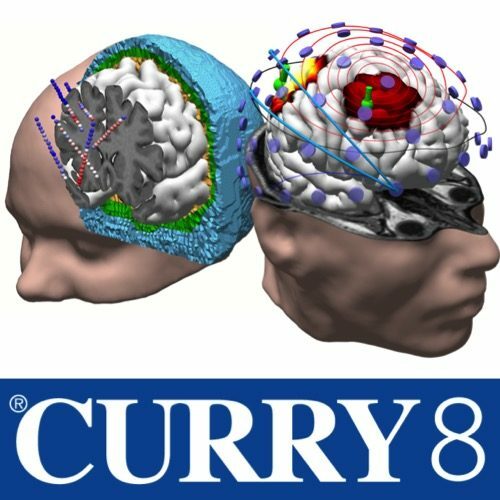 The Signal Processing and Basic Source Analysis package of CURRY 8 offers quite a number of additional useful features compared to the CURRY 8 Signal Processing package. One of those features is non-parametric statistical analysis. Non-parametric statistical analysis is becoming more common in single trial EEG and ERP analysis. The advantage of non-parametric statistics is that it does not depend on assumptions as parametric tests, and still the results can be as powerful as parametric tests when the assumptions are met. In CURRY 8, non-parametric statistics using topographical ANOVA randomization methods is available for both individual subjects as well as for group studies. Whether you are interested in seeing a statistical effect for a group of subjects or want to test if a certain ERP component is significant in a single subject, CURRY 7 displays these results in a comprehensive way. The statistical results can be exported immediately for further processing or publication.